Our latest addition to our Dogs in their Gardens is Amanshe from Reading, UK. 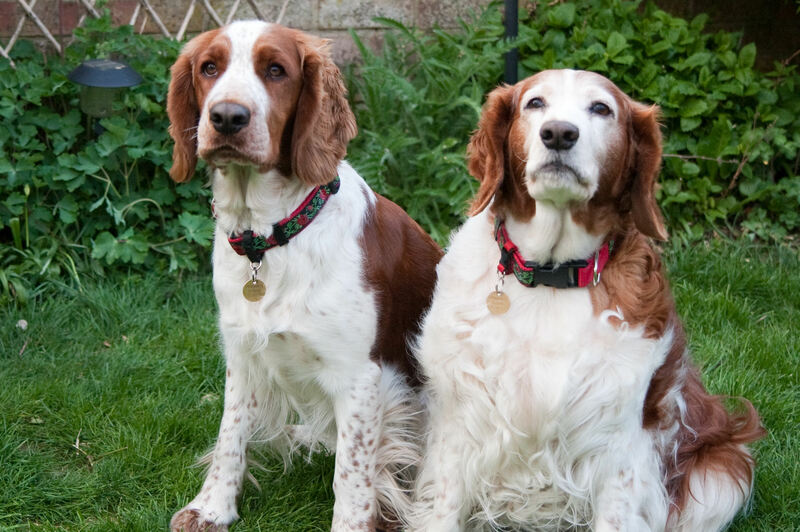 Please remember, you do not have to have a Welsh Springer to be featured in this section – it is just that being in the breed, I know a lot of people with Welsh Springers. Other breeds are more than welcome – just send in your details and we’ll review them. Well, I have finally got to put together the first page for Dogs and their Gardens. Sorry this has taken me a while – I had such a huge collection of photos to work through. 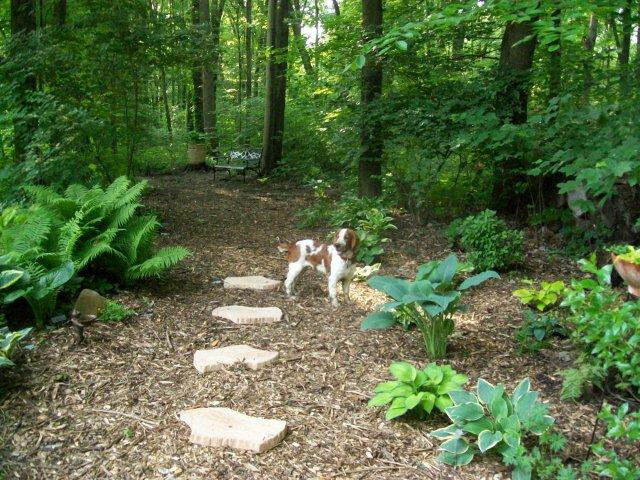 Enjoy the delights of Gratz Garden in Lebanon, Ohio, USA where Ron and Bobbie Gratz share a daylily and hosta paradise with five Welsh Springers. Don’t forget that you are welcome to submit pictures of your garden for the gallery – large or small, all gardens shared with dogs are welcomed for consideration. We all have different challenges in our gardens that others can learn from.